Flexing your best sneakers is something that everyone is guilty of sometimes. People always trying to out do each other with their Instagram posts, let it be an extreme sneaker shot — which can be really corny — or a picture of them buying a Foot Locker&apos;s stock of Air Jordans. Here&apos;s an image of a sneakerhead who took a trip to Disneyland and decided to raise the bar, courtesy of Reddit. 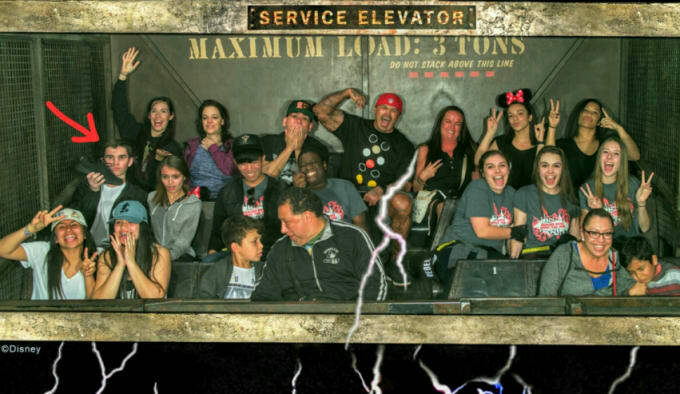 On the Tower of Terror ride, this kid couldn&apos;t resist on stunting on everyone in his entire coaster cart, breaking out his "Pirate Black" adidas Yeezy Boost 350 for one candid photo. Well done, even if it cost an arm and a leg to buy the picture.